There are various reasons for the need of conversion from Lotus Notes or Domino Server NSF files to MS Word document files. The conversion allows accessing emails outside the emailing environment in the absence of client-server. The tool allows keeping a backup of old items in case a user is switching from Lotus Notes to any other messaging service like MS Outlook. 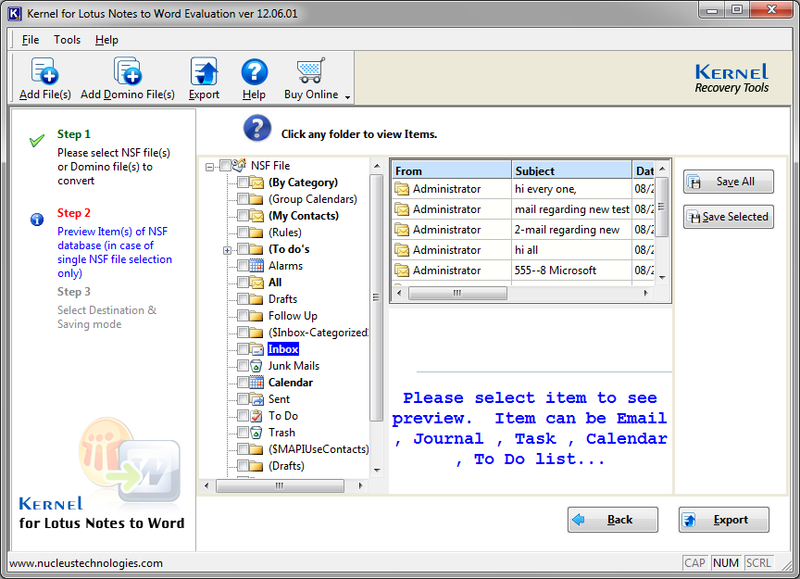 After converting Lotus Notes mailboxes into Word format, they can be accessed universally. It makes archiving and sharing of Lotus Notes emails more straightforward and cost-effective. The tool is mostly used by attorney professionals like lawyers, forensic experts, advocates, investigators and bureaucrats who usually create records of their conversations. 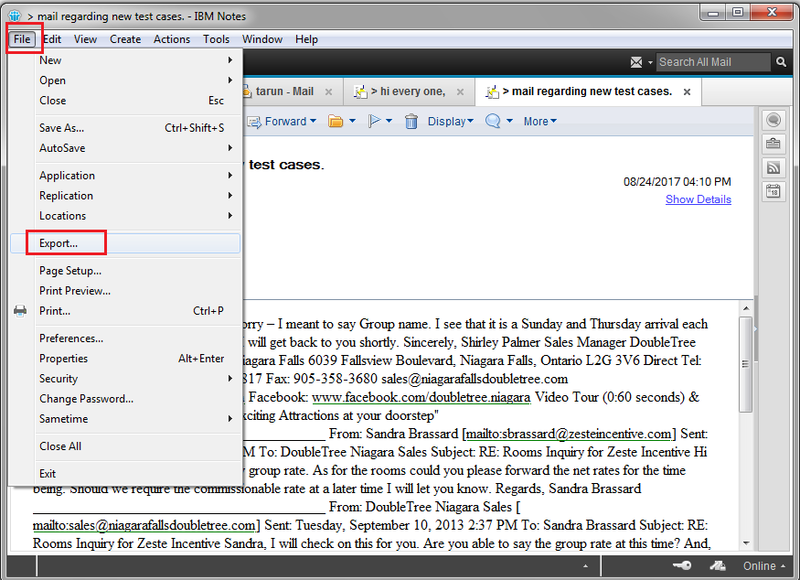 Conversion of Lotus Notes to MS Word makes emails portable, simple and increases the printing quality. Well, there is no direct procedure to convert any NSF file to MS Word, but you can export NSF file to Microsoft RTF format. 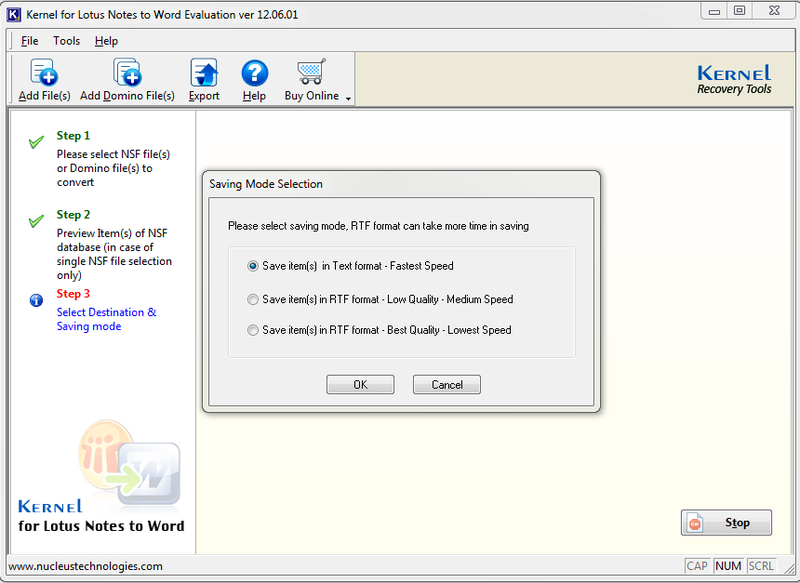 RTF format can be easily accessible in MS Word, now let’s see the easiest process for exporting NSF to RTF. 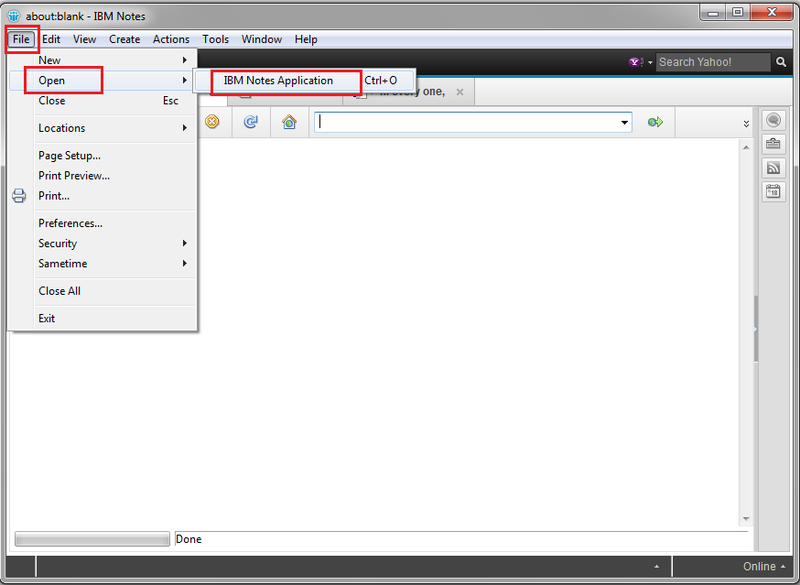 Open Lotus Notes>File>Open>IBM Notes Application. 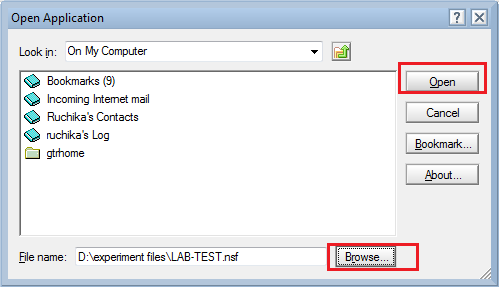 Browse NSF file from the system and click Open. Open the mail you want to Export then File> Export. 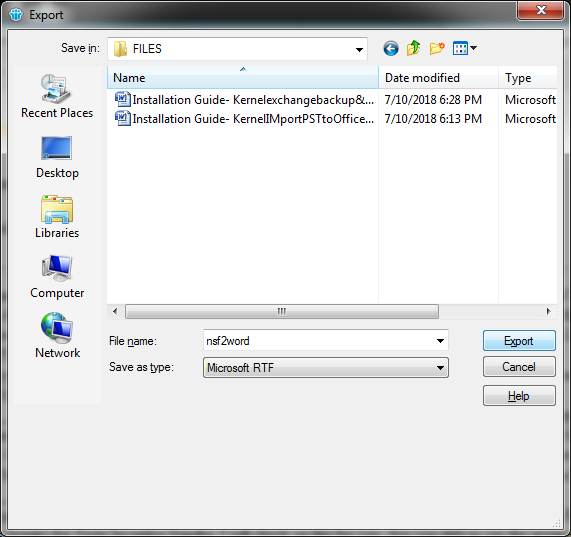 Provide File Name and its saving destination, Choose Saving type as Microsoft RTF then Export. 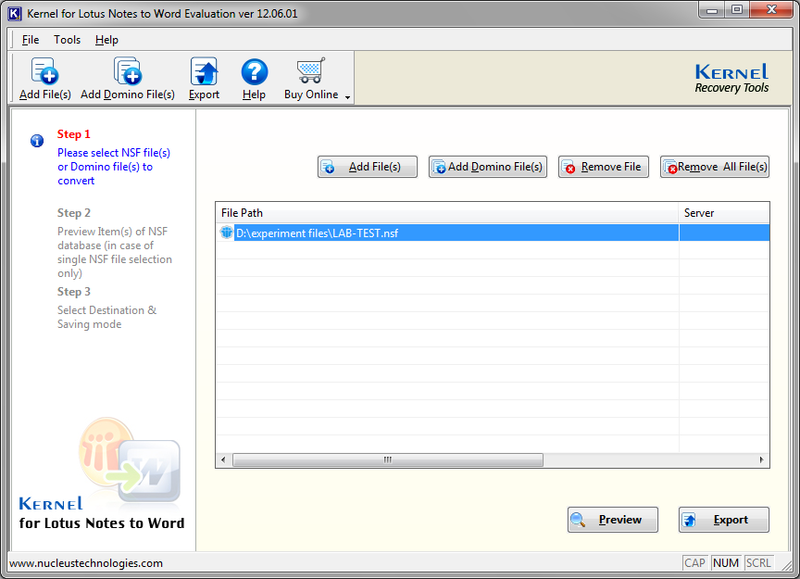 Moreover, your NSF files are successfully converted to RTF which you can later open in your MS Word. Launch the software and use Add File button to add NSF file or you can add Domino file and click Preview. Select the folder from the left pane to see the preview of entire data and the use Export button to save files. Provide the saving location of the converted file then click OK.
Now select the format you want to save File from TEXT, RTF (Low & High Quality) then use the Ok button to finish the process. 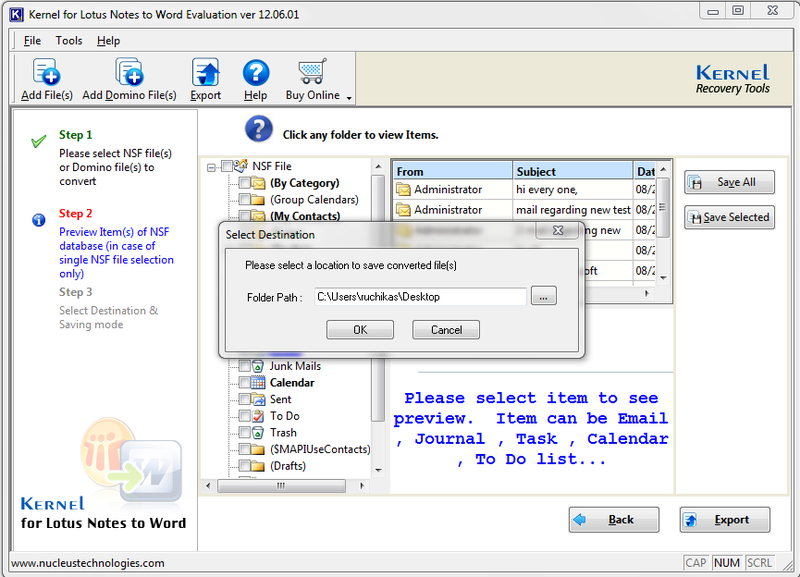 Converting NSF files to MS Word with the manual process it little complicated because it is challenging to manage Lotus Notes Application and the manual process does not directly export NSF file to Word. It will convert it to RTF which can be accessible in MS Word. So, it is good if you use a third party tool like Kernel for Lotus Notes to Word which offers you directly conversion of NSF file to Word. You can also use Domino server files in this tool to convert them in Notes. This tool is quick, accurate and reliable and it supports all versions of Lotus Notes.